There is something bewitching about the late summer when the mornings are cool and the air is heavy with dew and humidity. The garden is shifting from the floral explosion of summer to the quiet of autumn. The tall garden phlox is fading, the coneflowers are going to seed- much to the delight of the goldfinches, and the brown-eyed Susan’s are making bright yellow clumps in the perennial beds. The ornamental grasses are lush, and the mums and sedum are plumping up, and getting ready to bloom in a month or so. This morning as I prepared to head out for my 2 mile morning walk I cut through the side gardens to discover that my morning glories were blooming. I admit to having a thing for morning glories. Especially the older heirloom varieties like ‘Grandpa Otts’. That deep purple variety with its five markings on the blossoms just makes me smile. Morning glories are also the birth flower for those folks who are, like me, born in the month of September. My affection for these magickal flowers is the reason that one of the Garden Witch Pentacles I designed feature morning glories. Morning glories are protective as is the five-pointed upright star in the center of the pentacle. Combining these symbols together strengthens the power of the magickal tool. In the language of flowers morning glories remind you to “greet the new day”. Which I think is pretty appropriate. Magickally, morning glories are naturally enchanting. The flowers and foliage may be worked into any type of protective spell. The vines may be used for bindings and banishings. Instead of using ribbon or string to bind a representation, you wrap it up in morning glory vines. 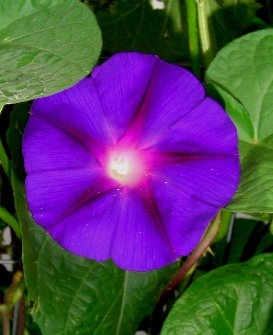 The morning glory has the astrological association of Saturn making it ideal for protection magick. Today I ship out the first batch of the Garden Witch Pentacles that I began selling online last week. At the moment I am in talks with two stores for them to feature these pentacles in their shops. I never imagined I would have wholesale orders for these but hey, why not? If you are interested in purchasing a hand made pentacle for your very own, hop over to my website www.ellendugan.com and click on the “Garden Witch Pentacle” tab at the top of the page. Choose your design and order away. There are four designs to choose from. The payment is made through Paypal. It is secure, quick and simple. Each of these are made of 1 inch thick solid pine. Pine itself is a wood associated with the earth element- as is this magickal tool. The pentacles are cut by hand, sanded, wood burnt, by my husband- and then I hand paint, stain, seal and sign each one. It's a team effort. Brie the calico cat oversees the painting of each pentacle. (My challenge is to keep her from dipping her paws in the water I use to clean out the paint brushes.) Here are the four designs just below. I hope you all enjoy the rest of the summer. Each night the sun sets a little earlier, and nature gets ready to put on her colorful finale for the season. Greet each new day with a little magick and enjoy the summer while it lasts! First of all I would like to say, those pentacles are beautiful! 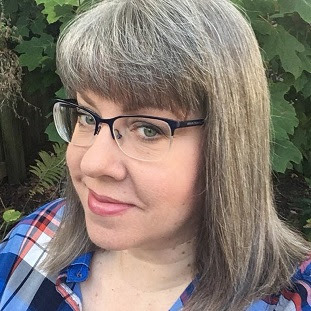 I am happy to find your blog :) I first found out my belief had a name (I'd always believed on a God and Goddess being the many faces of all the Gods and Goddesses of the world) when I happened upon your book Magick for Teens misplaced at a library in 2006. Since then, I have been a Witch for 2 years then fell away from regular practice. Hopefully I can find my way back soon!